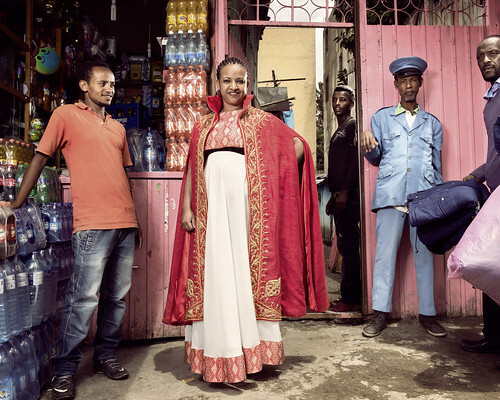 When Sewasew Hailu was a little girl, her grandmother taught her how to do handicrafts. That first experience sparked a lifelong interest and a profession. Today, Sewasew is a clothes designer and part of a growing fashion industry in Addis Ababa, Ethiopia. She has built her business over the last seven years and won customers locally, from Europe and from other African countries for her wedding dresses, suits, dinner and graduation dresses. All are handmade by Sewasew and five employees in her Addis Ababa shop. Sewasew’s challenges include being a single mother of three following a divorce. Obtaining financing has also not been easy and is the biggest challenge for anyone starting a business, because of the need for collateral, she says.